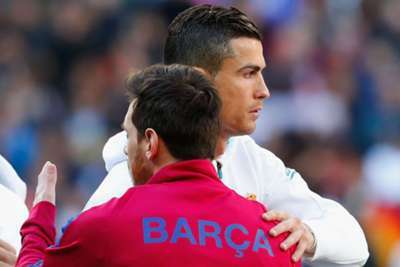 Cristiano Ronaldo has urged long-time rival Lionel Messi to "accept the challenge" and follow him to Italy. The former Real Madrid star ended a nine-year spell in Spain in July when he joined reigning Serie A champions Juventus and he is aiming to win a domestic title in a third different country. Unlike former Sporting CP and Manchester United man Ronaldo, Messi's entire career has been spent at Barcelona and he is under contract through the 2020-21 season. Messi turns 34 in June 2021 and Ronaldo has suggested the Argentina international should experience life away from Barca before he hangs up his boots. Asked whether he misses Messi, Ronaldo told several Italian newspapers: "No, maybe he misses me! "I played in England, Spain, Italy, Portugal, in the national team, while he is still in Spain. Maybe he needs me more. "For me, life is a challenge, I like it and I like to make people happy. "I would like him to come to Italy one day. Like me, accept the challenge. "However, if he is happy there, I respect him. "He is a fantastic player, a good guy, but I do not miss anything here. This is my new life and I'm happy." Messi and Ronaldo have won the Ballon d'Or on five occasions each, but their decade-long duopoly was ended when Madrid midfielder Luka Modric won the award this month.